Several homeless people were involuntarily committed when they refused to leave the streets in the face of Irma. The evacuation of the homeless has to start earlier than general population evacuations because of the difficulty of moving homeless people off the streets—arranging shelter beds for the influx of people and then providing them with transportation to the shelters. Pre-evacuations are common for the elderly and those with physical disabilities for these same reasons. “We knew that the evacuation effort needed to be unprecedented,” said Ron Book, chairman of the Miami-Dade County Homeless Trust. The Homeless Trust had completed its semi-annual Point In Time homeless count, which gives a snapshot of how many people are living on the streets, a mere three weeks before. So they knew that the 1,133 people living on the streets then was a good metric for how many they would have to find shelter for. But on the Wednesday before the storm hit, Trust officials were concerned that they had only been able to convince roughly 300 people to voluntarily come off the streets. Book remembered hearing about Rockport, Texas Mayor Pro Tempore Patrick Rios, who encouraged people who did not evacuate to write their name and Social Security number on their arms so they could identify their bodies after the storm. Book decided to use a state law called the Baker Act, which allows for people to be involuntarily institutionalized for up to 72 hours for mental health evaluations if they are deemed to be a danger to themselves or others. “An unwillingness [to come off the streets] in the face of a 185-mile-an-hour sustained wind storm approaching [indicated] they were in effect a harm to themselves,” explained Book. Somewhere between 18 and 25 people were persuaded to go into the shelters when faced with the possibility of being involuntarily committed as the police stood by ready to transport the individuals to the Crisis Stabilization Unit at Jackson Memorial Hospital. Six people were moved to involuntary commitment and of those, only one was retained for the full evaluation period. The others were released, but after the storm had passed and they went to a shelter. 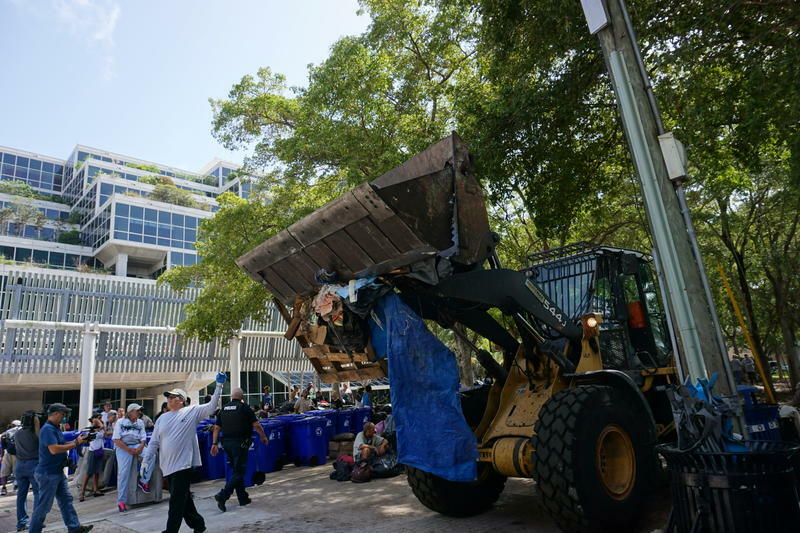 Critics of the Homeless Trust’s move voiced concerns that the county would start regularly employing the Baker Act as a way to round up the homeless in areas of downtown Miami or Miami Beach, where residents and business owners complain about the presence of homeless people. “That's never going to happen. We're not going to do that. 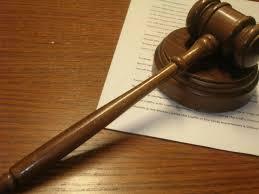 It's never been our goal,” Book said, but added that he would utilize the Baker Act again in the face of another storm. “We will never take advantage of it. We will use it as it was intended to be used,” he said. 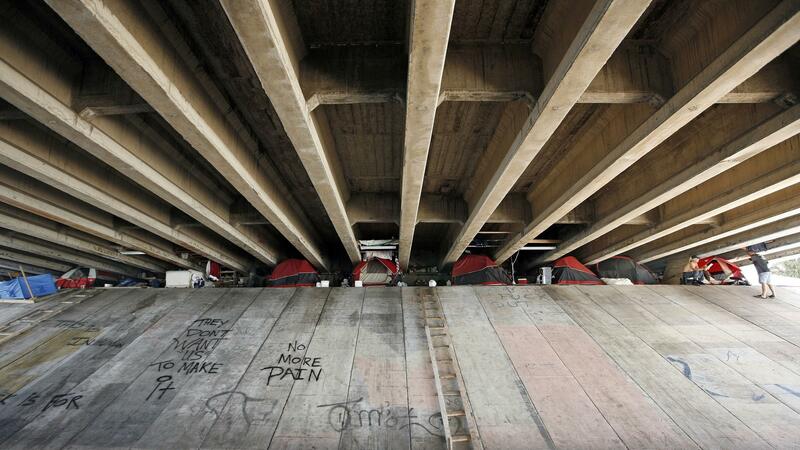 Miami police intends to involuntarily commit homeless individuals starting Friday if they refuse to move off the streets. Volunteer outreach teams through the Miami-Dade County Homeless Trust began placing individuals in shelters Tuesday morning and will continue those efforts through Thursday. “By Friday morning it is my intention, those individuals who refuse to leave the streets for various reasons--almost all of which are mental health and or substance abuse-related--I would be moving to have those individuals Baker Acted,” said Ron Book, chairman of the Homeless Trust. 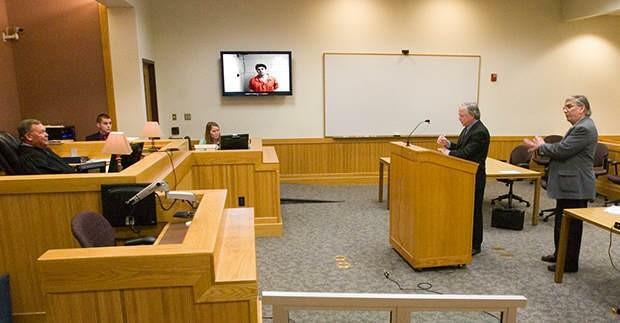 Florida judges can’t use videoconferencing to involuntarily commit the mentally ill, the Florida Supreme Court ruled Thursday. The number of children taken into protective custody for mental health examinations has surged across the state.